This stunning epic fantasy debut introduces two exciting new authors—and a world brimming with natural and man-made wonders, extraordinary events, and a crisis that will test the mettle of men, the boundaries of magic, and the heart and soul of a kingdom. Thanks to its elite Dragon Corps, the capital city of Volstov has all but won the hundred years’ war with its neighboring enemy, the Ke-Han. The renegade airmen who fly the corps’s mechanical, magic-fueled dragons are Volstov’s greatest weapon. But now one of its members is at the center of a scandal that may turn the tide of victory. To counter the threat, four ill-assorted heroes must converge to save their kingdom: an exiled magician, a naive country boy, a young student—and the unpredictable ace who flies the city’s fiercest dragon, Havemercy. But on the eve of battle, these courageous men will face something that could make the most formidable of warriors hesitate, the most powerful of magicians weak, and the most unlikely of men allies in their quest to rise against it. Are we sure that Rook is not in love with Thom? I know their brothers but the sexual tension between these two made me question their whole relationship. Okay now thats out of the way this book was brilliant. I haven't read anything really good in a long time and this was a book I could sink my teeth into. Wish the second one had arrived in the post already I cannot wait to start Shadow Magic. Royston and Hal were a lot less complicated and I enjoyed their tale a lot, it just didn't have the fierceness that Rook possessed, I can definitely see why Thom is so attracted to Rook. Jones writes relationships very well and this is where the book excels. All four characters interact with one another but Rook and Thom's story is together and Hal and Royston's tale is linked. They just cross over towards the end as Thom and Hal becomes friends, but this works really well. 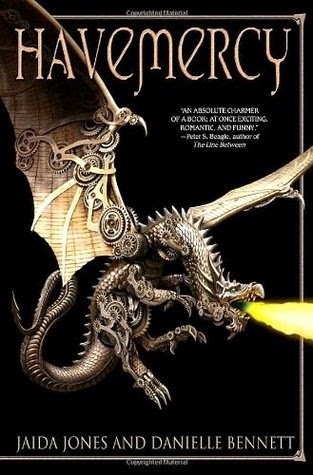 I would recommended this book to anyone who loves Steampunk and of course dragons and magicians, but they are almost sidelined to the beautifully drawn characters and the world building that Jones does so well. What a brilliant read, finished it in 4 days. Definitely deserves 5 stars. We all need a little Merthur in our Lives don't we?